This amber, butterscotch, honey, and holden, bracelet in sterling silver has three colors of amber and can be yours all in one bracelet. This amber bracelet is well made with amber cabochons, sterling silver and a lobster claw clasp. 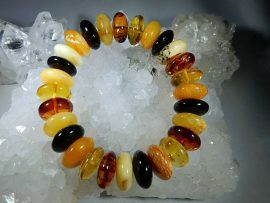 Let your light shine with this multi-color, natural, baltic amber bracelet. This amber, honey, butterscotch, golden, and cherry, beaded bracelet with real baltic amber beads. This stretch bracelet is lightweight and fun. With multiple colors of natural amber you are able to wear this with almost anything. 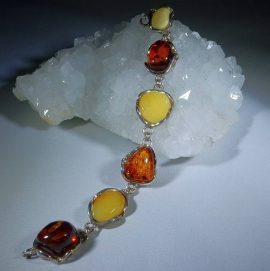 Let the light in with this lovely amber bracelet. 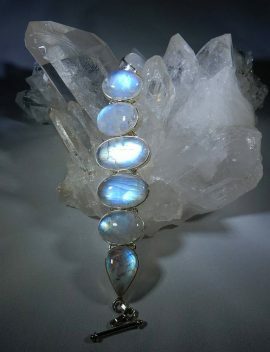 You will love the warm intuitive energy of this bracelet. 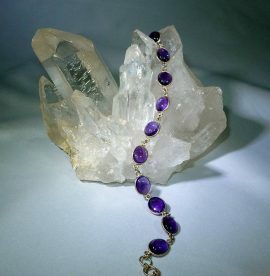 This natural amethyst bracelet is made with amethyst cabochons, sterling silver, and a lobster claw clasp for durability. This piece has a warm and peaceful energy. Plus it’s a must have for this price! 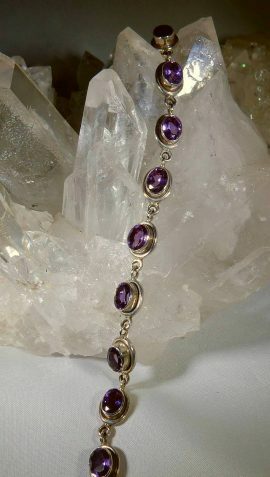 This amethyst faceted bracelet in sterling silver features stunning natural amethyst ovals bezel set in sterling silver with a lobster claw clasp. You will want to wear this bracelet everyday. 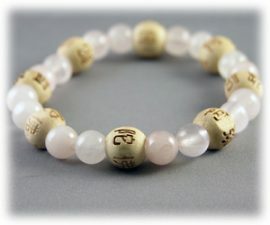 This rose quartz, love and friendship, Karmalogy bracelet is great for layering these bracelets together and combining the gemstone energies for your worldly and spiritual pursuits. This tiger’s eye, protection and balance, Karmalogy bracelet is a great everyday piece you can layer with other bracelets or wear solo. 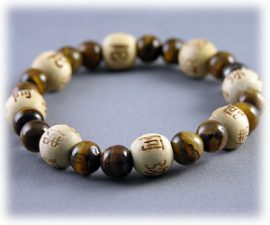 Men and women love this bracelet created from genuine Tiger’s Eye and wooden Karma beads. 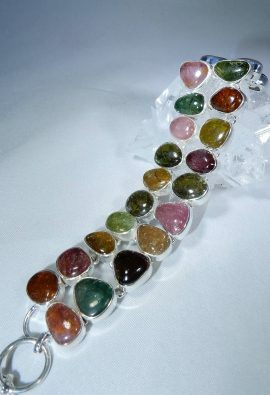 This Multi-Color Tourmaline Bracelet is a two row color explosion of healing and beauty. You will enjoy the luxury and sparkle this bracelet radiates. This Turquoise Bracelet will be your favorite new go to piece. The solid lobster clasp is secure and strong. 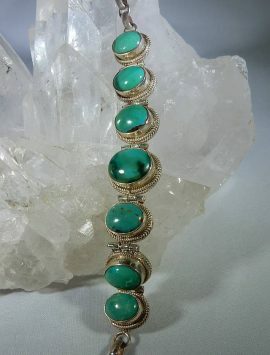 The turquoise cabochons are a beautiful shade that is sure to please.